Flying is something that many pregnant women worry about. Flying during pregnancy can be very safe, but it depends on how far you are flying and any apparent risk factors in your pregnancy. As a general rule of thumb you can continue to fly short haul until 36 weeks. For long haul flying, you should probably stop at about 32 weeks.. This varies between carriers and some will require a doctor’s note or certificate about your condition and fitness to travel even after 28 weeks. Beware! They do have the right to refuse to carry you even if you are carrying the correct documentation. If you are carrying twins, do not travel abroad after 26 weeks. You should check with your healthcare provider before booking any flights in your last trimester. If you have experienced any bleeding, have diabetes, high blood pressure or any other problem, your doctor may advise you stay on terra firma. You do not want to go into pre-term labour at 35,000 feet. You would be advised to take special precautions about deep vein thrombosis- such as drinking plenty of fluids, stretching and flexing your legs and even wearing flight socks. Sometimes taking a baby Asprin is appropriate if you are going on a long haul flight. Please discuss this with your midwife or doctor. Pregnant travellers should also be aware that many insurance companies will not cover them for travel after 24 weeks of pregnancy. Some employees of these insurance companies seem to be unaware of the small print which often claims that you will not be covered for any pregnancy-related claims if your return trip is made after 24 weeks. 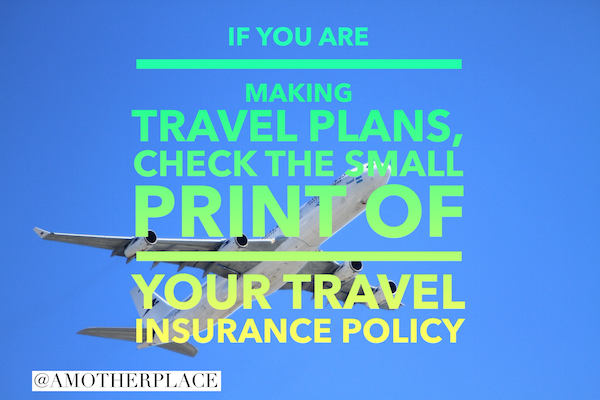 You should double check the small print of your policy before you make any travel plans. Insurers that don’t impose cut-off limits include Direct Line, Churchill and Co-op Travel insurance, providing you don’t travel against airline rules or medical advice. You should take your Maternity notes with you in case of any problems whilst you are abroad. Pets and Gardening Whilst Pregnant.